I have been writing about universal laws, changing the old paradigms to create desired life, meditations, visualizations and all the personal development stuff for about a year but, one thing that I like the most to write about is positive mentoring for kids. As a person who is so much interested in exploring the subject of human potential and metaphysical knowledge, I have come to understand this one thing for sure- Our life depends on the beliefs that we hold in our subconscious mind. We read books and go through personal development programs in order to improve our lives by changing these old beliefs that has programmed us to live life the way we do. Imagine if our parents and society would have only given us positive and broad minded suggestions, right now we would have been multiple steps ahead in life from where we currently are, but all these precious information were not popular back then. However, now we are well aware of the fact that by training the minds of kids in their early ages will help them a lot in the future. 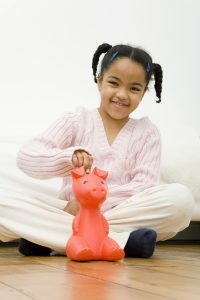 Especially, it is vitally important to build a good relationship between money and kids because this is the area where commonly people struggle the most in their lives. I believe that teaching kids about money is far more important than their formal education because history has witnessed hundreds of people who were illiterate but rich. I don’t say education isn’t important, it is indeed, but the thinking that says “money and qualification is related” is not the truth. Okay, so here I am going to list down ten common mistakes that parents often make in front of their kids, these things lead to the formation of false beliefs in their minds which later in the future,stops the flow of wealth in their lives. I don’t know why some people love that phrase so much. 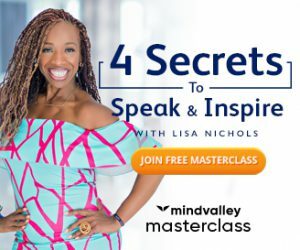 When I opted for the unlimited abundance program, I found that most of my money related problem was because of the energy that was associated with such phrases (however, this saying is the most popular one everywhere). It sends a clear message to the minds of the kids (which is wide open for any suggestion) that making money is not easy. This simple looking phrase is a real poisonous one, I am still working to clear my old paradigms related to it and according to the self help gurus it is the reason behind most of the wealth related problems in people’s life. Negative talks about wealthy people and their lifestyle in front of kids leads to the formation of beliefs like “money makes you bad”. No matter how small your kid is to understand “what’s going on”, avoid as much as possible to not fight or worry about money related things in front of your kids. These little ones have the ability to read and catch your vibrational state; they don’t need to hear those words always to know about your inner state. I know it’s a little hard thing to do because the kids want to buy almost everything new they see in the shops. But, there is always a better story to tell them than to scold about directly pointing out the subject of money. Some parents make a mistake of thinking that being honest about their present reality with their kids is the right thing to do, but your present reality could sow similar seeds of the future in their minds, then why not to tell better stories for their sake? Fun filled money related games are extremely beneficial for kids as it helps them to build a light and playful attitude towards it. Some parents think that teaching kids to be too serious about money and saving it, will help them in future but it works quite in the opposite way. There is an age when a person develops his conscious mind completely(about 20 years), and that is the perfect time to learn money management. The best thing parents can do until then is to help their kids to build a playful and fun attitude towards the subject of money, in this way a child gets the message that “money is an important tool that we humans use but, our happiness does not depend on it”. Prosperous people often have had fun with their monthly allowance. Like, collecting money in the piggy bank for special purposes, buying toys etc and that too without being scolded for not valuing it. Never promise them any reward if you are not willing to give it when they accomplish the task. Stopping your child from making friends with kids who belong to rich families because your kid will start to ask a lot from you is not just unfair but a big hindrance in their future relationship with money. Especially, telling them things like “they can have it and you can’t”, as said before there are better stories to tell than to directly point the issue of wealth or luck. As I mentioned before, don’t let your reality be your kid’s reality. 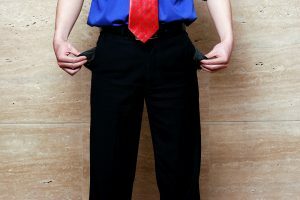 Settling down to low quality items in shops, bargaining for discounts, sacrificing wishes to save money, etc, all these behaviors that shows that you don’t have enough money should be as much avoided in front of your kids as possible. I would like to highlight this again “kids understand your emotions and vibrations better than your words”, so, be careful around them when it comes to any negative circumstance and try your best to not involve them in it. 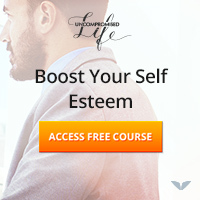 Before finishing this post I would like to recommend a course to you if you are interested in helping your kids to build a winner mindset, the product’s name is success training for kids and it is a law of attraction based study program. What are your views about the personal development of kids? Are you in favor of teaching about the law of attraction to kids? Share your views by commenting below, I would highly appreciate that.